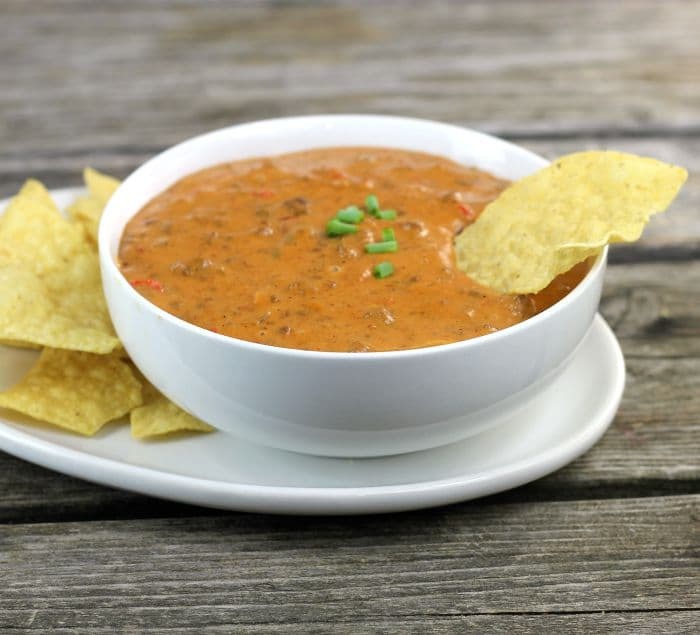 Velveeta Chili Cheese Dip, a tasty dip that is made with Velveeta, hamburger, peppers, diced tomatoes, tomato paste, and seasoning. 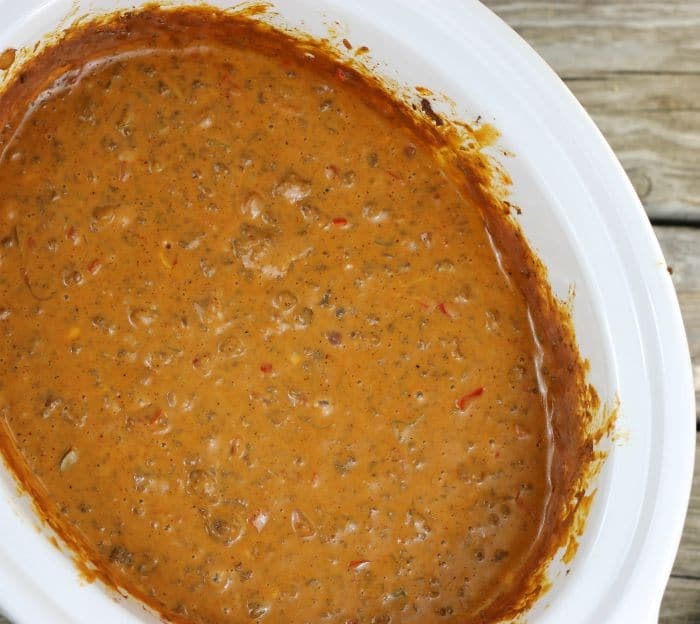 Velveeta chili cheese dip is great for parties, family gatherings, or whatever occasion, it is a total crowd pleaser. This is a dip that I have been making for years. When our kids were little we would have parties for each of them when their birthdays rolled around. We would always have a bunch of the family members over to help celebrate. 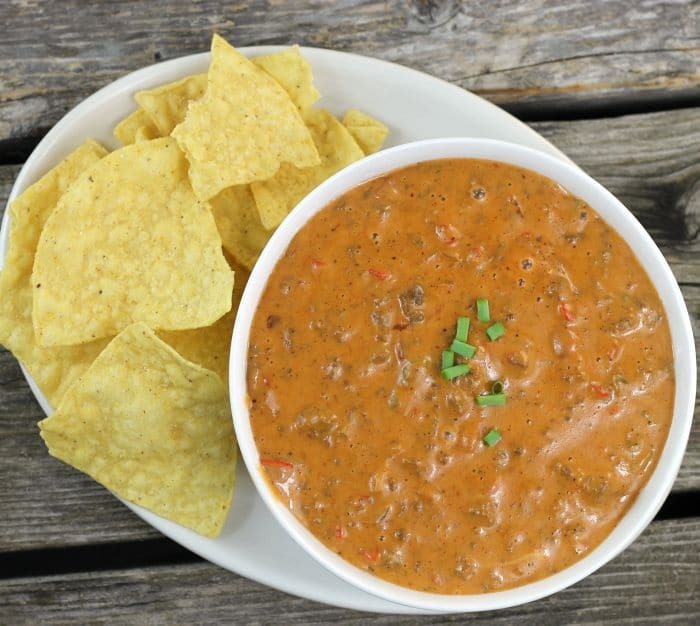 This dip was on the list of foods that would be served at almost every birthday party. Yeah, everyone loved it and since it makes a huge batch it was the perfect dip to serve. Things have changed since those days, our kids have grown and some have their own babies now, but one thing that hasn’t changed is the fact that they still love this dip. Chop the onion, green and red pepper into small pieces. In a skillet combine the onion, peppers, and hamburger. The hamburger should be completely browned and onions and pepper should be tender. Once this is complete add it to a slow cooker along with the Velveeta (that has been cut into cubes), tomatoes, tomato paste, and seasoning. Heat in the slow cooker until the cheese is melted and combined together. It is now ready to serve. Don’t have time to do the chopping and cooking? Don’t worry if you don’t have time to chop the veggies up and brown the hamburger. Try adding a can or two of Hormel chili to the Velveeta and melt together. I have made it this way and it is also delicious. 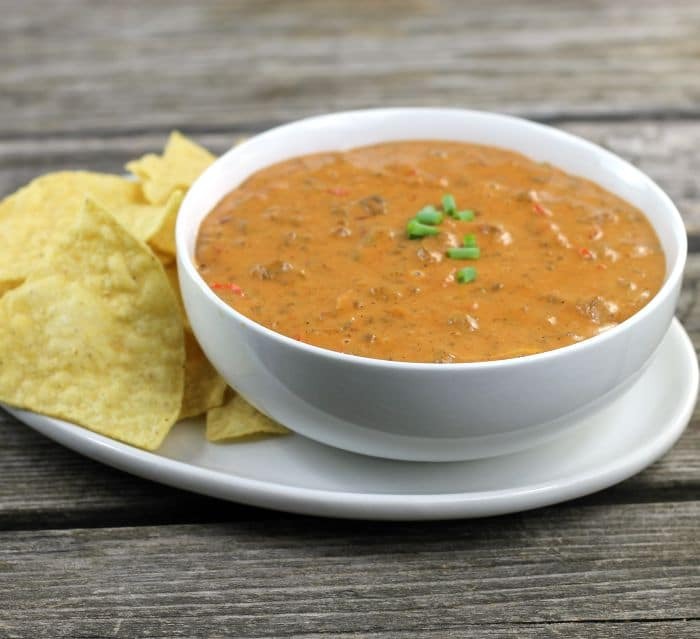 Velveeta Chili Cheese Dip a tasty dip that is made with Velveeta, hamburger, peppers, diced tomatoes, tomato paste, and seasoning. Chop the onion and peppers so they are small pieces. Add the hamburger, onion, and peppers to a skillet. Cook over medium heat until the hamburger is browned and the vegetables are tender. Making sure to stir occasionally. Season the meat and vegetables with the chili powder, salt, garlic powder, and pepper. While the meat and vegetables are cooking, cut the Velveeta into cubes. They don't have to be small, but this will help it to melt faster). Add the Velveeta to the slow cooker, along with the meat mixture. Mix together. Add the tomatoes and tomato paste and mix together. Turn the slow cooker on high and cook for about 45 minutes to an hour. Serve with your favorite chips, crackers, or vegetables.